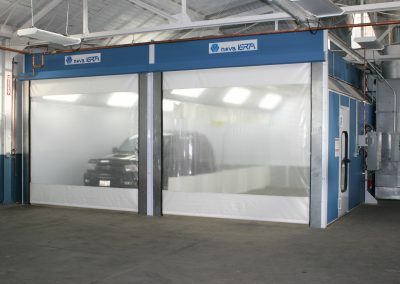 We have installed hundreds of automotive paint booths across the country. 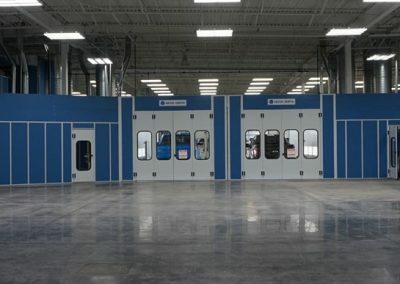 There are many different styles and options in the auto lineup, from single- and double-wall, to drive thru and solid back. 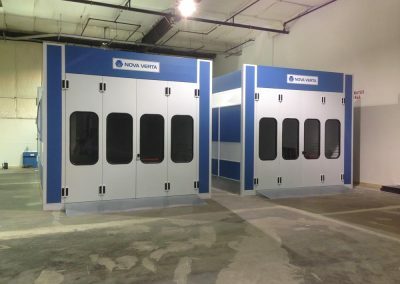 And we can connect a paint mixing room to any of these models. If you have any questions, please give us a call today 1-800-637-4027. 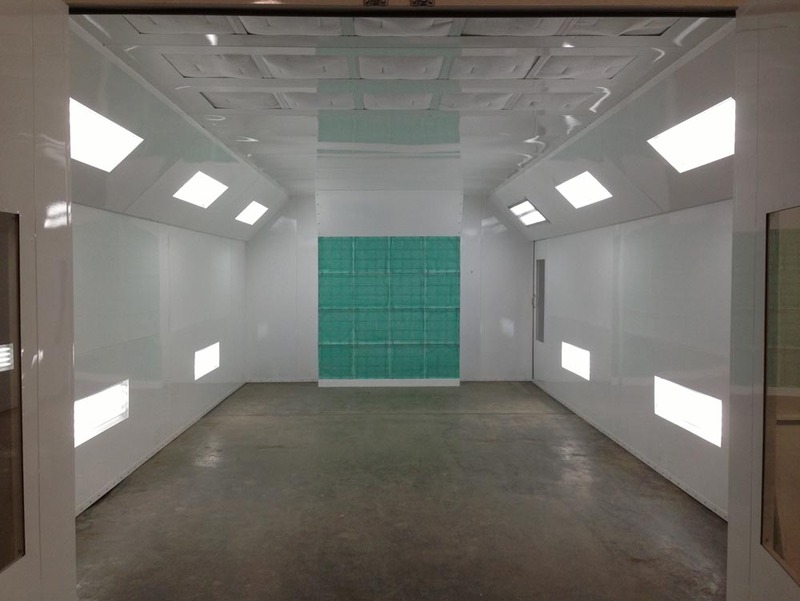 Our automotive paint booths are constructed of quality materials and manufactured to exacting standards. 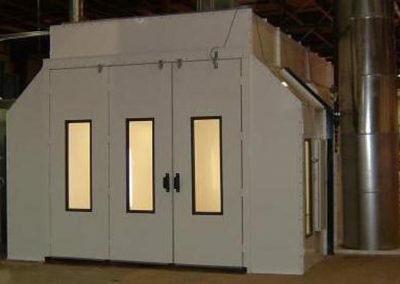 They are designed for extended service and meet high production requirements while providing the best environment for a quality finish. 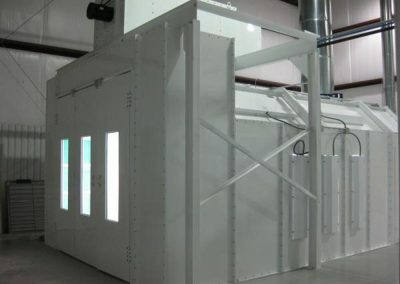 Our paint booths are available in Modified Downdraft Paint Booth, Cross Draft Paint Booth, Full Downdraft Paint Booth and Side Downdraft Paint Booth styles. 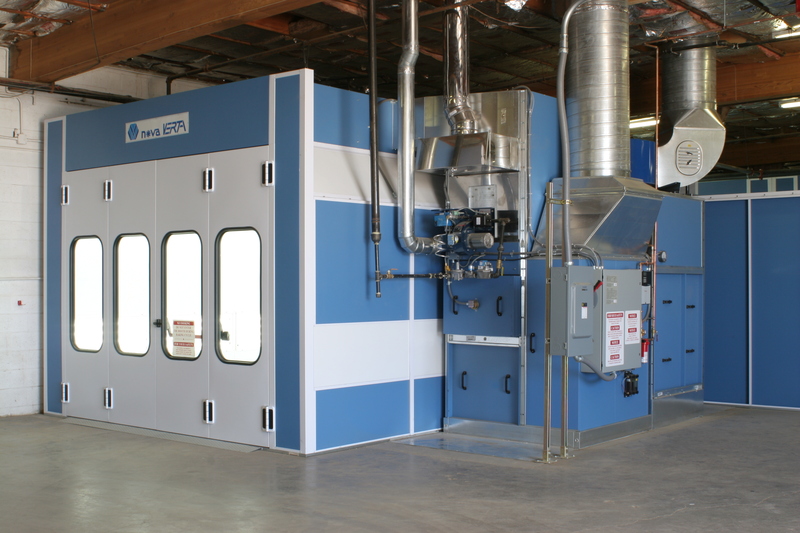 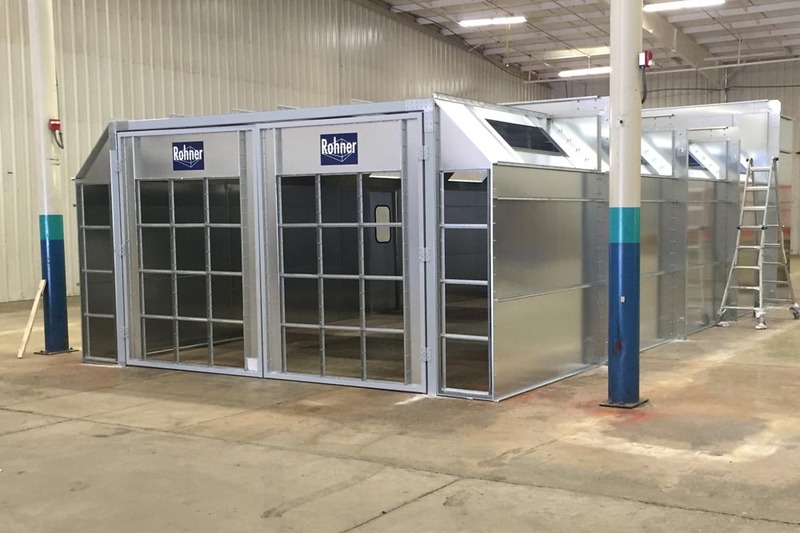 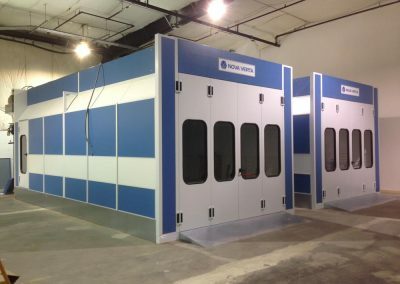 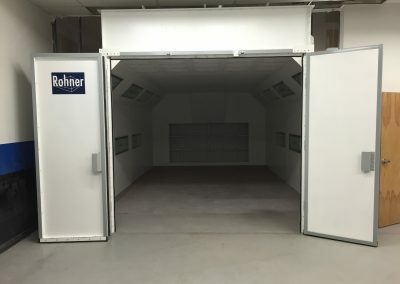 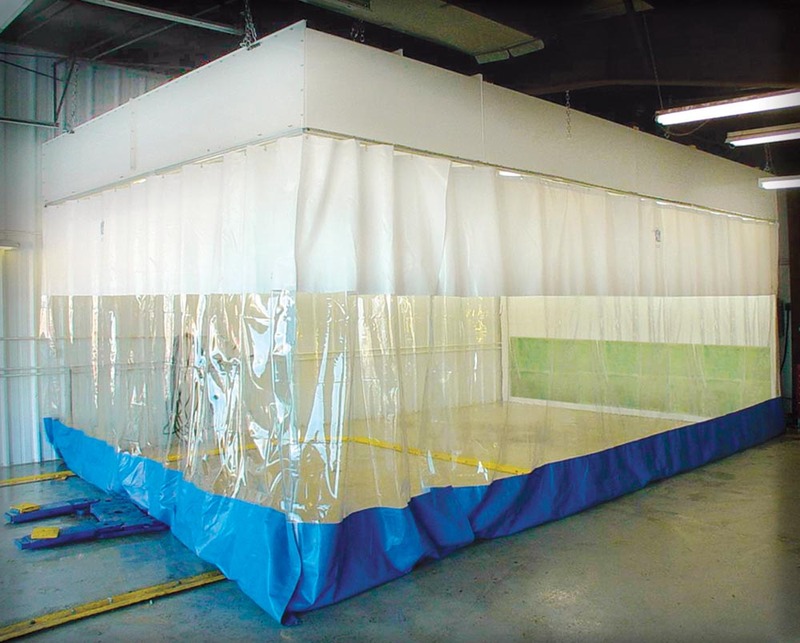 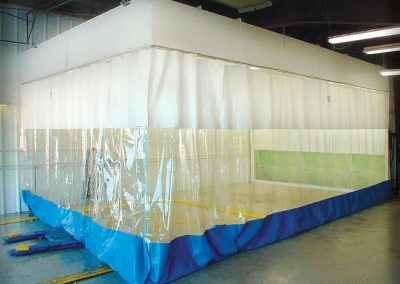 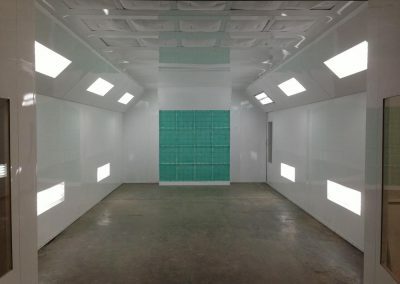 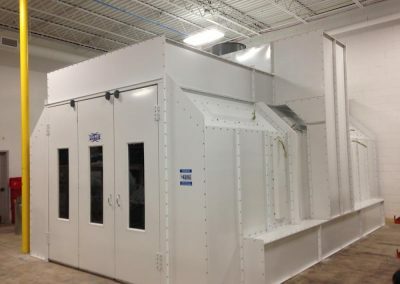 All our spray booths are designed to efficiently remove airborne paint particles and harmful overspray vapor from the working area of the spray booth. 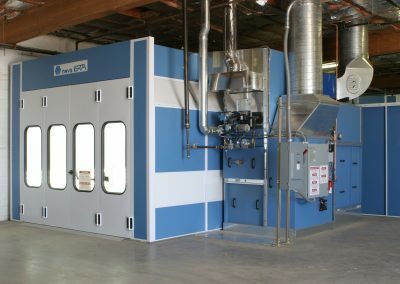 Air moves through the booth either vertically or horizontally. 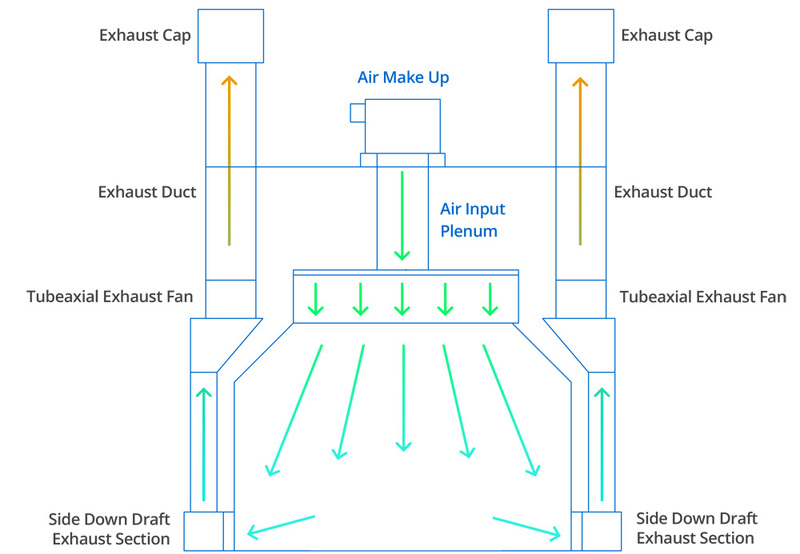 Fresh air enters through air inlet filters mounted in the front of the booth or the ceiling exhausts and then through the paint arrestor filter media. 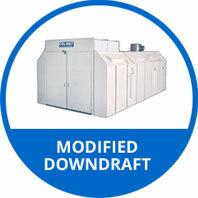 Units are designed to conform to NFPA and OSHA standards and regulations. 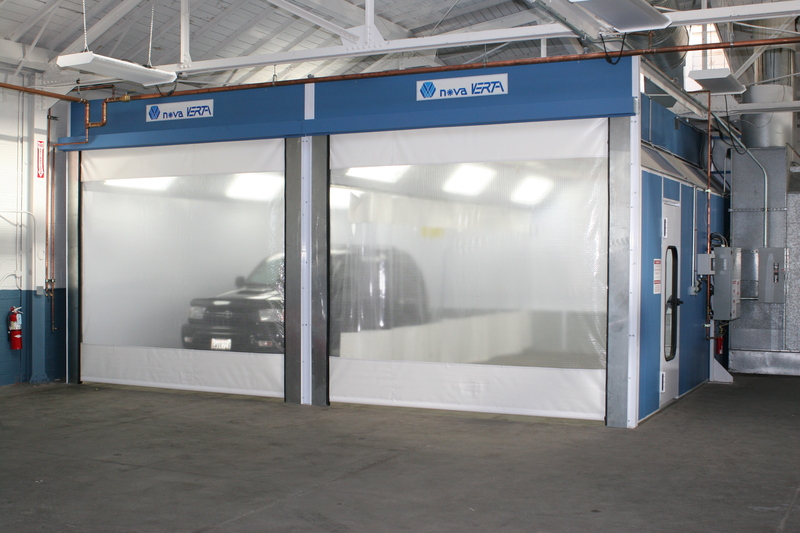 Besides comprehensive installation services, we off expert advice in shop design and layout. 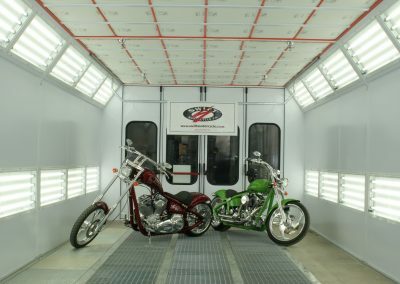 We create designs with the intention of increasing productivity—so even from the very beginning, we are thinking about how to increase your profit. We will advise you on how to utilize your space as efficiently as possible. 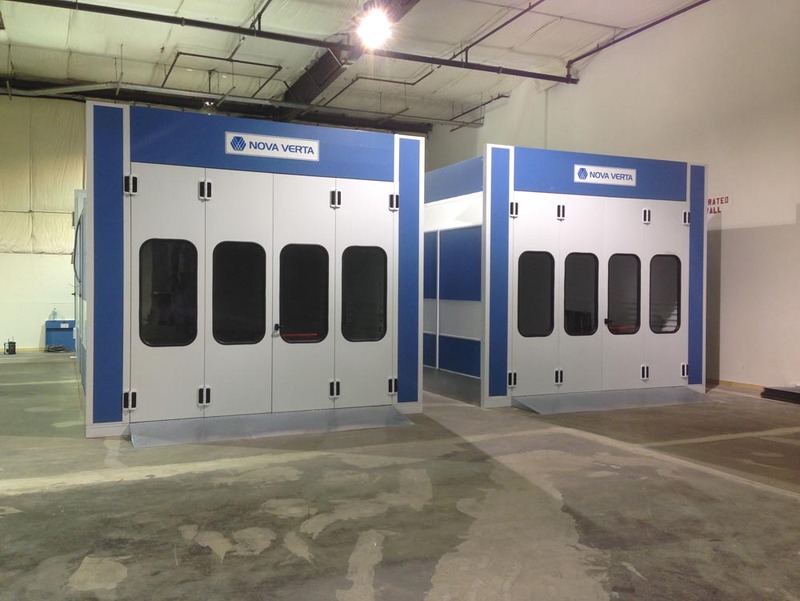 Let us help you redesign your existing shop or customize a new design for your location today. 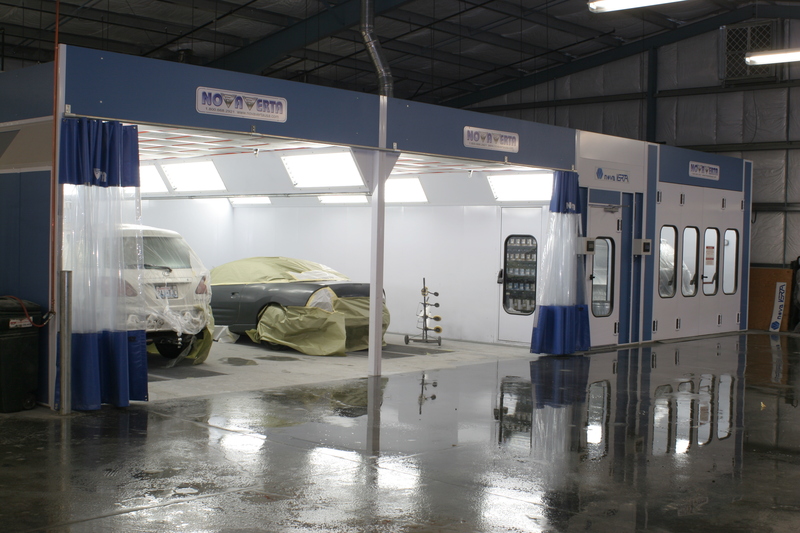 Call us at 1-800-637-4027. 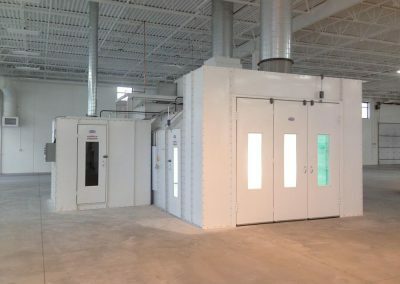 There are many things to consider when placing paint booths and other equipment into your building, and we focus on the important aspects first. 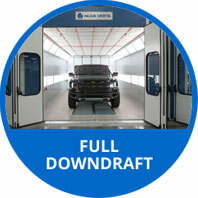 The two main details that cannot be overlooked are stall count and forward flow. 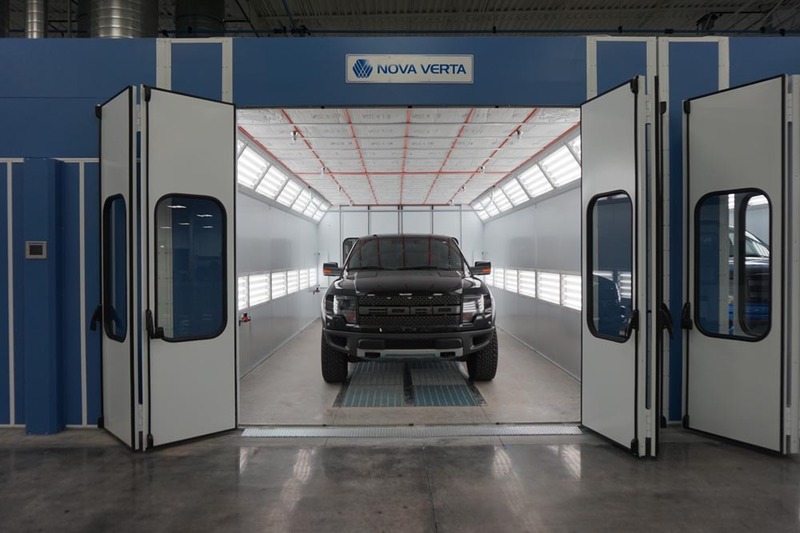 When you take these details into account with proper planning, even the smallest shop can be configured for maximum productivity and profitability. 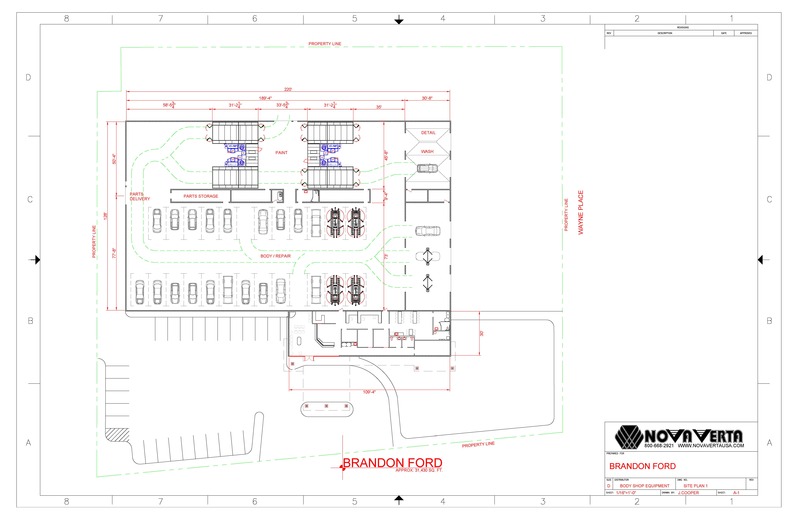 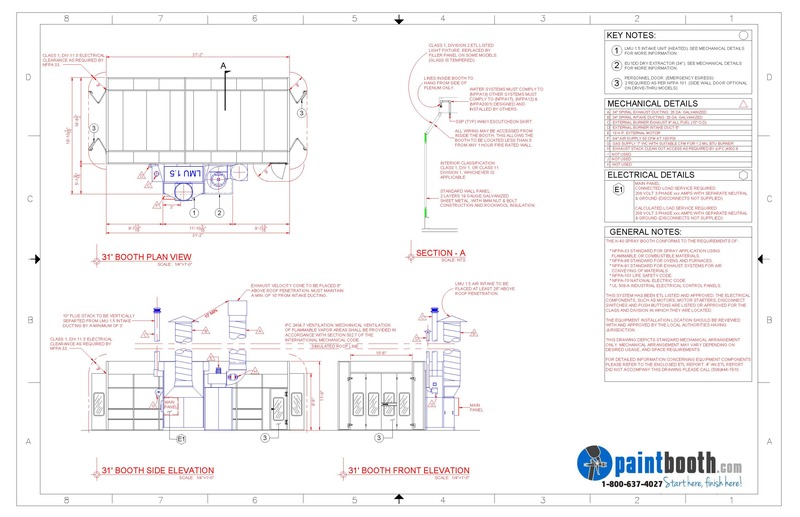 You can start the design process by sending in a sketch of your shop and the location of the current equipment or proposed locations of equipment you will purchase. 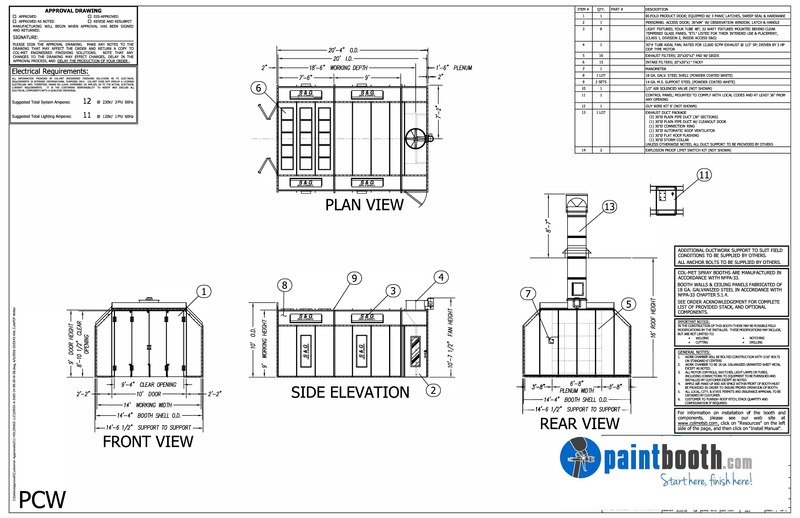 We will then create a CAD drawing for you. 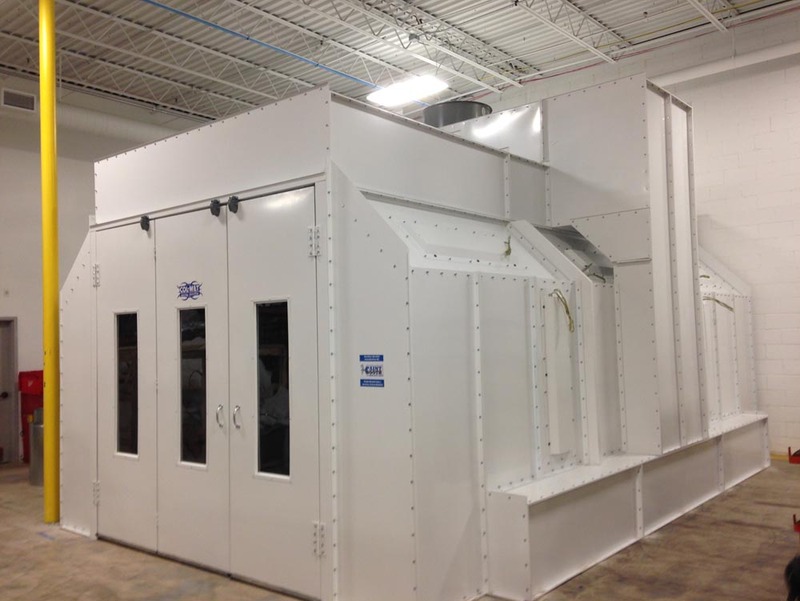 Our design assistance is FREE of charge when you purchase a paint booth from us. 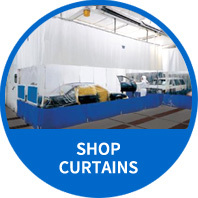 We know it’s important to be with you every step of the way, so we often visit the shops we are commissioned to design. 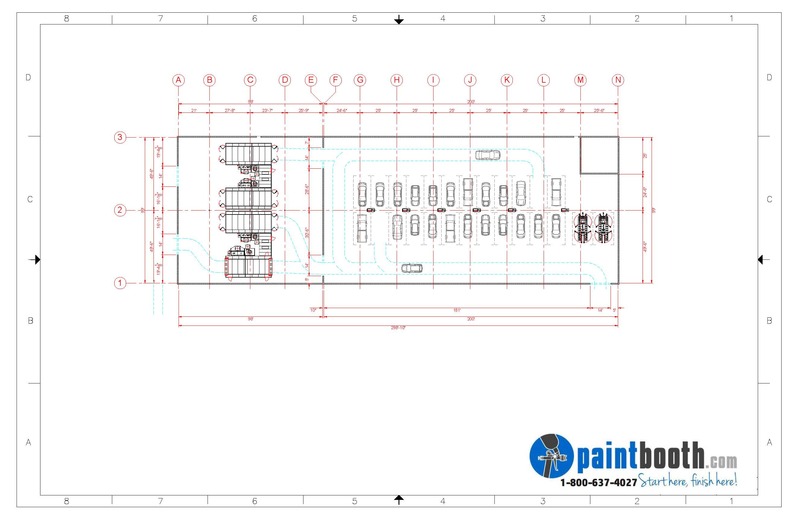 Hire us as your design consultant today! 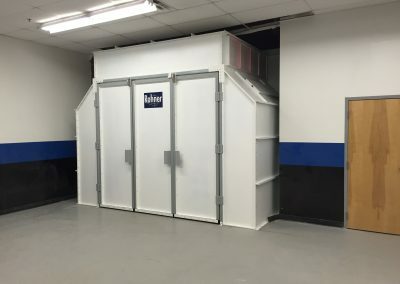 Call 1-800-637-4027. 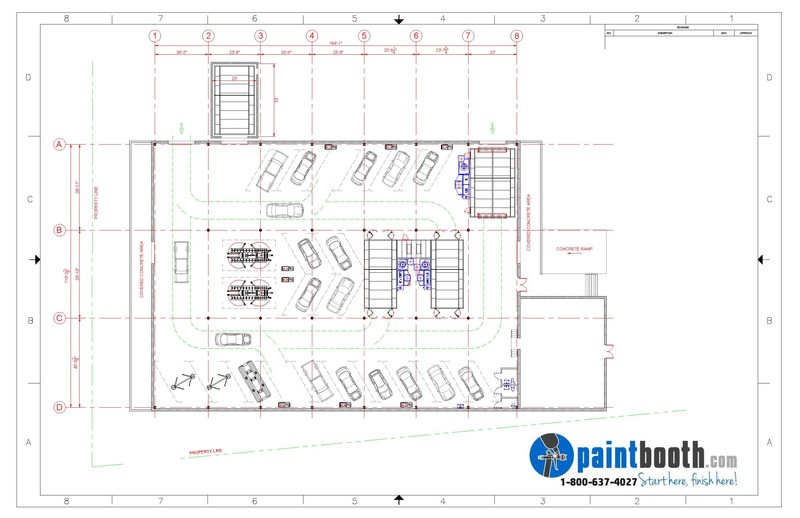 Below are a some layouts from real customers who we have assisted in the past, from a smaller 10k square foot shop to a massive 85K shop with multiple booths, frame racks and stalls. 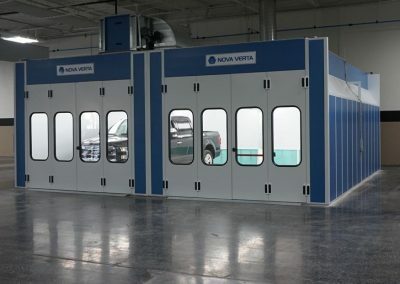 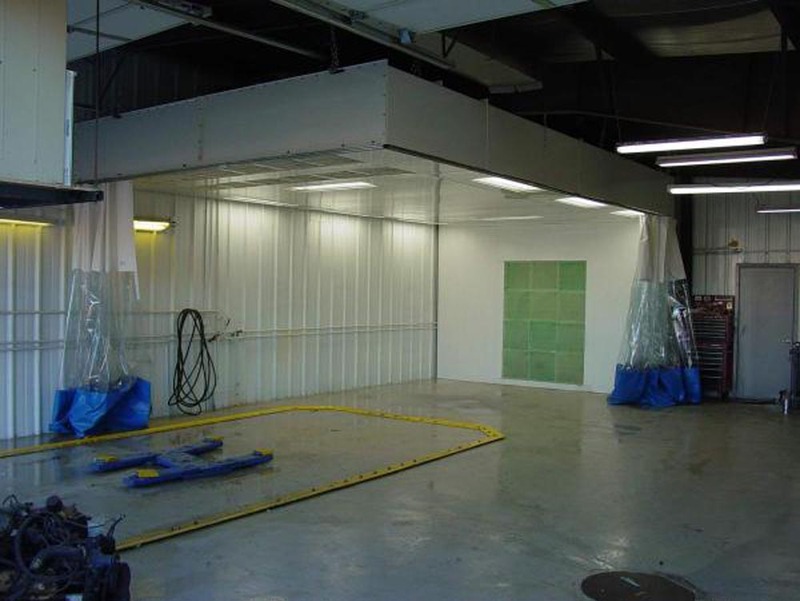 Automotive paint booths are constructed of 18 gauge G90 grade galvanized sheet metal panels. 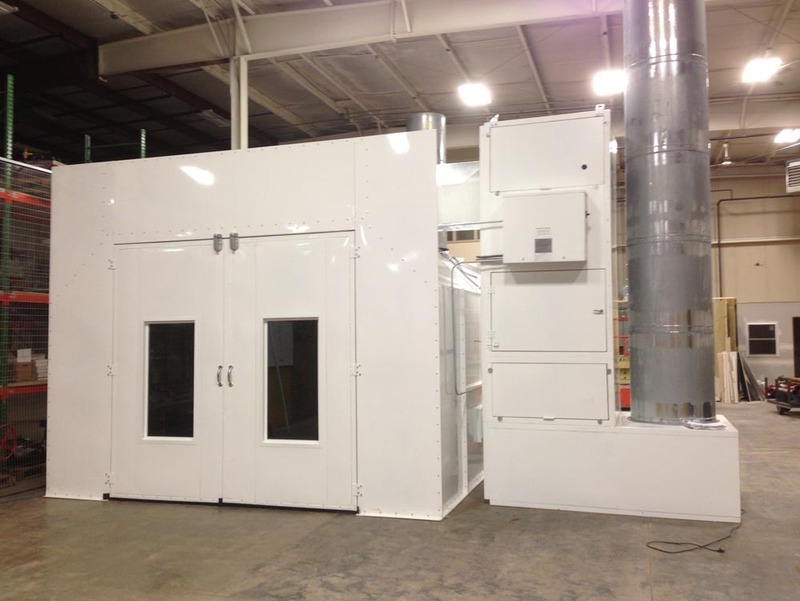 Double-wall booths are constructed of two layers of 20-gauge steel and insulated in the middle. 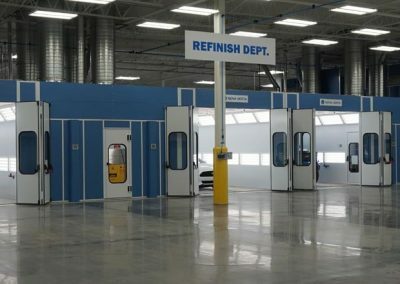 Panels are manufactured with 2” rolled flanges and ½” flanged and punched on 6” centers for bolt together assembly using quality hex head bolts and nuts. Panels are manufactured using automated CNC machinery for size and hole accuracy. 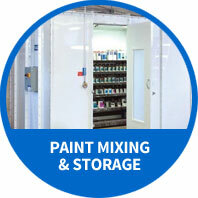 Standard tube acrylic caulking is supplied to seal seams. 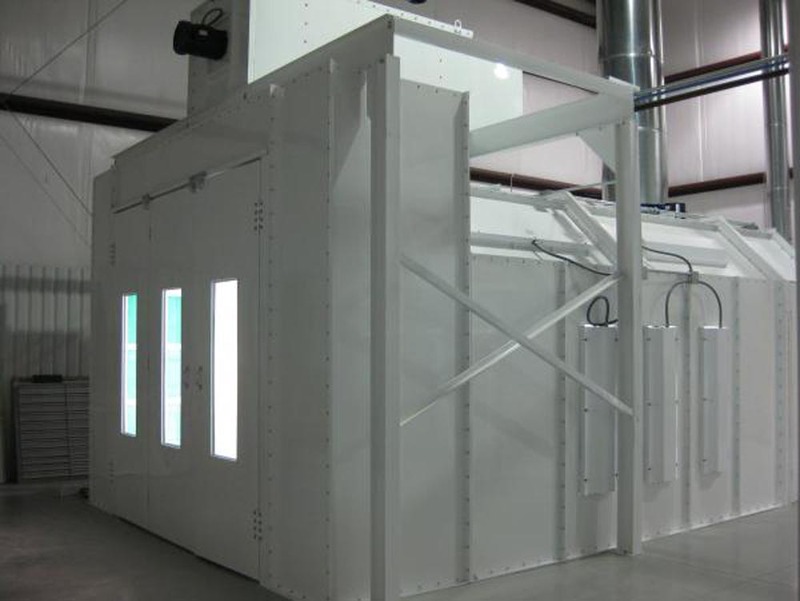 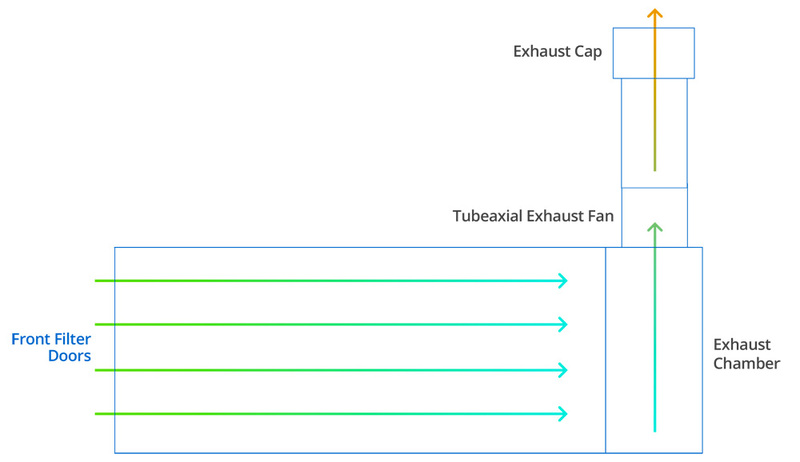 While some exhaust systems come standard with tube-axial fans, other booth models have turbine style or squirrel cage style fans. 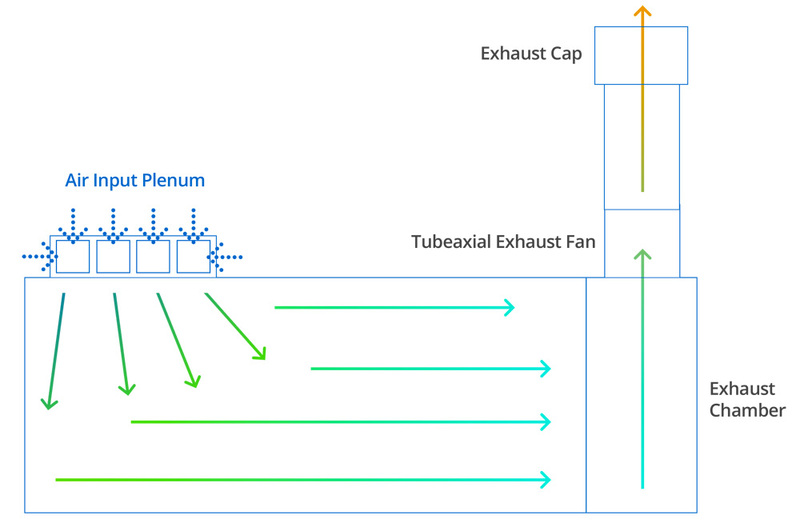 Exhaust fans are designed with non-sparking blades. 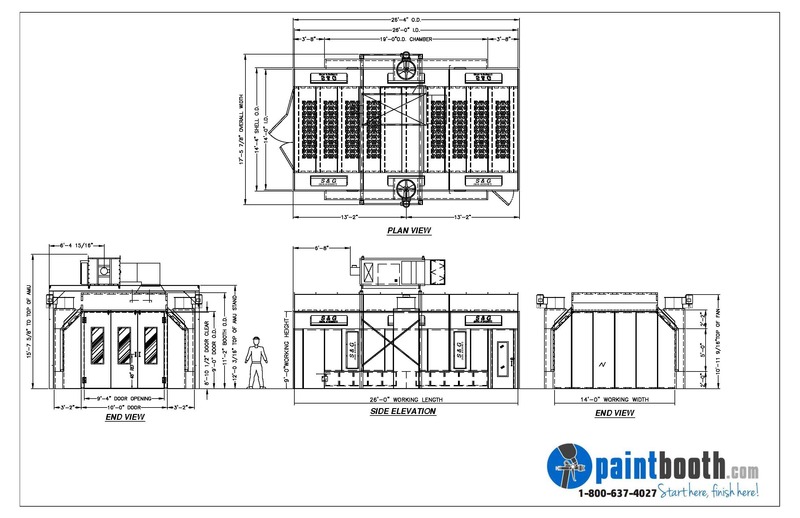 Fans are housed in iron phosphate processed steel with an acrylic epoxy paint finish. 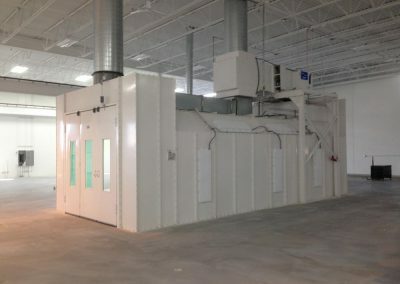 A cast iron sheave is factory installed. 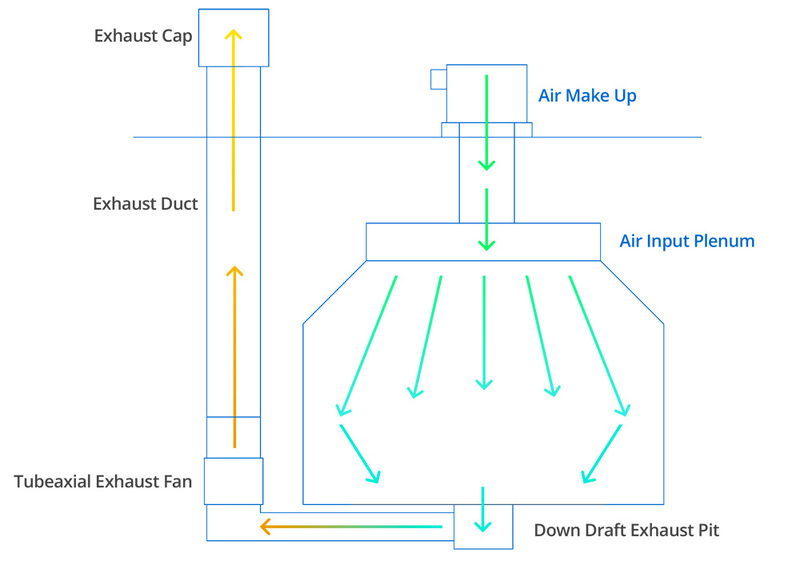 The air entering any style booth flows through filters either in the roof or the doors. 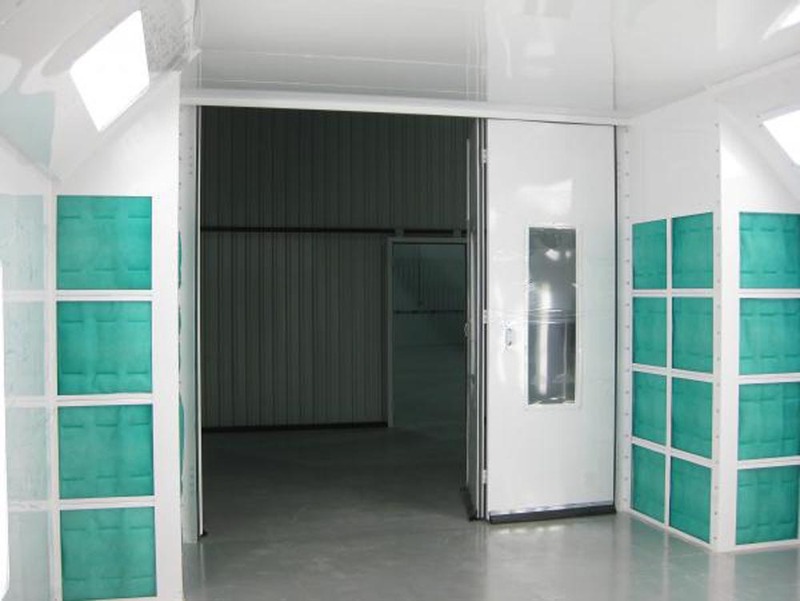 These fiberglass exhaust filters trap the airborne paint particles and allow the harmful vapor to be exhausted to the exterior atmosphere. 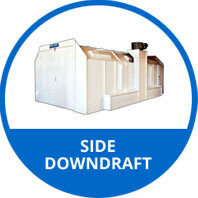 These inexpensive dry filters are disposable as standard industrial waste by most localities. 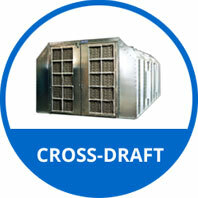 Check your local codes for regulations regarding filter disposal. 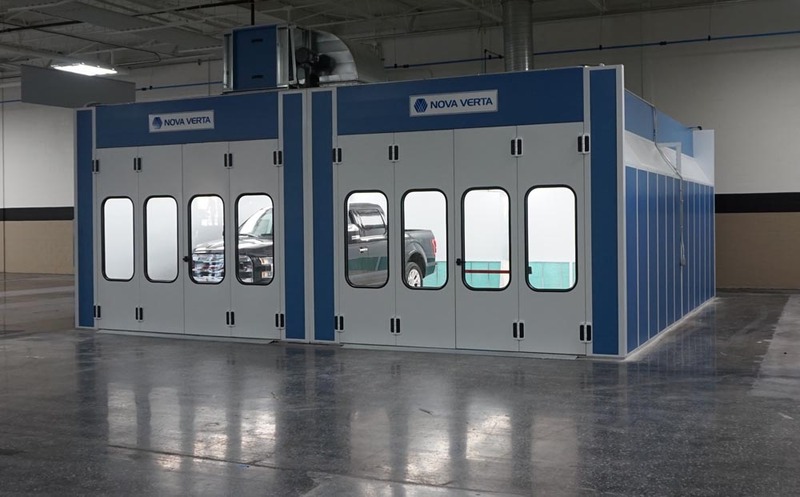 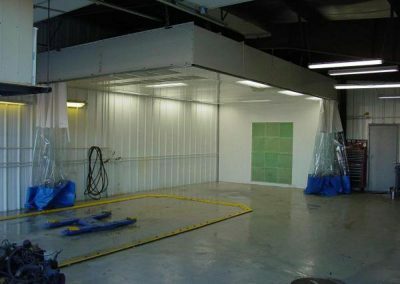 Our automotive paint booths are equipped with hip roof and side mounted 32 watt 4 tube Class 1 Division 2 inside access fluorescent lighting fixtures. 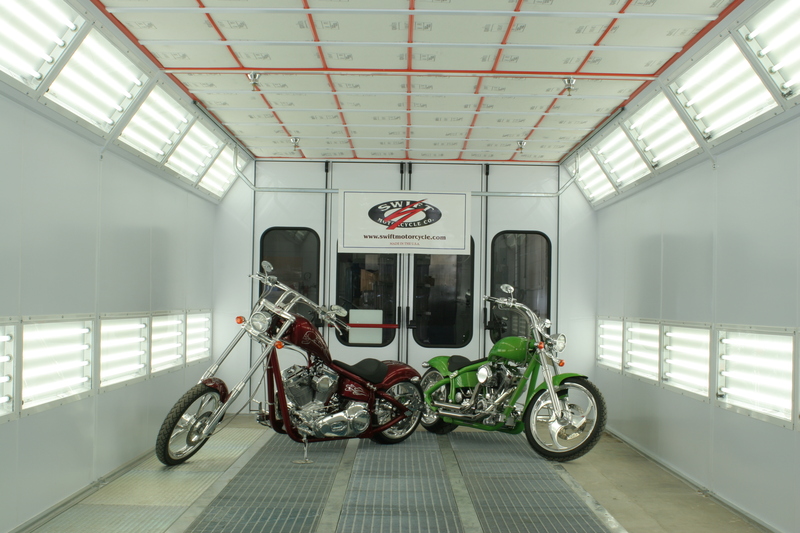 LED Lighting is now a popular option and is available for all models. Be sure to ask for an upgraded LED quote today. 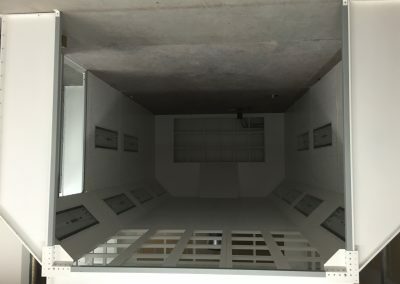 Additional lighting can be added as requested. 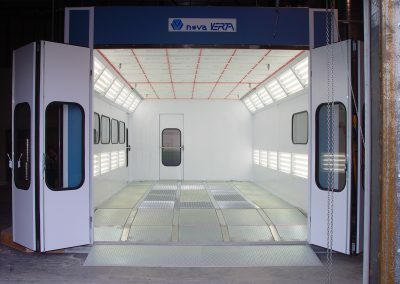 Booth lighting systems are designed to conform to NFPA-33 regulations for spray booth applications. 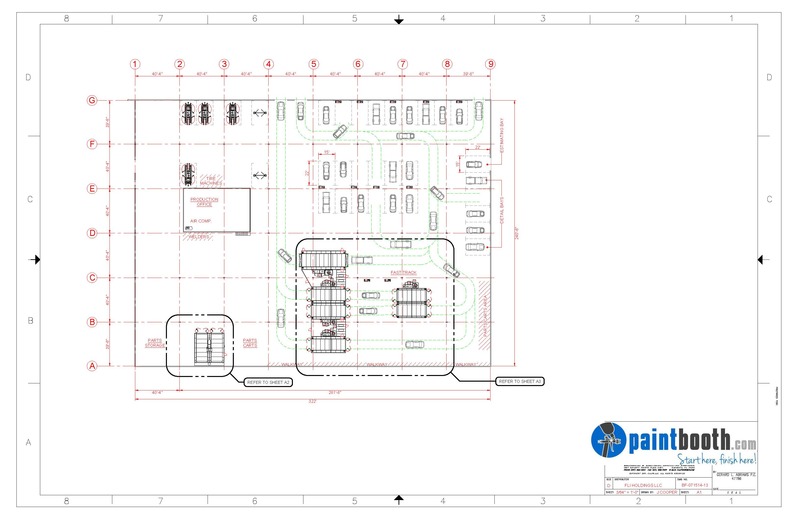 All lighting systems are UL listed. 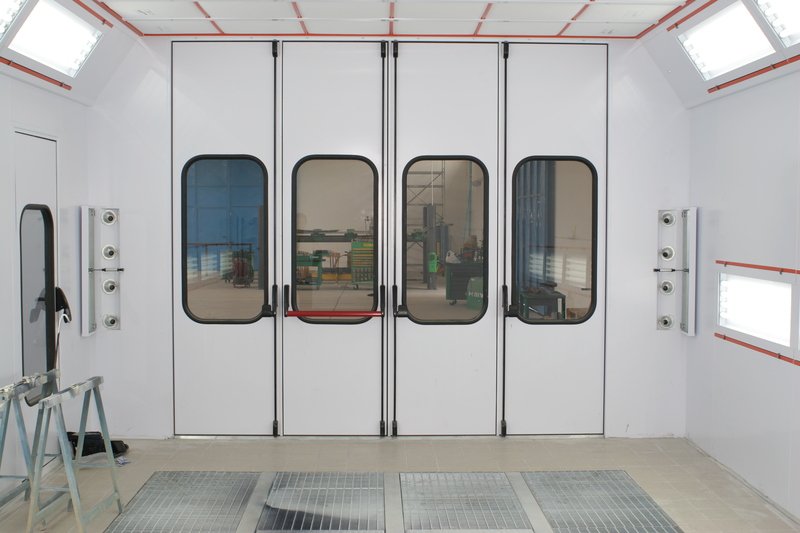 Our standard double swing doors are included with each paint booth. 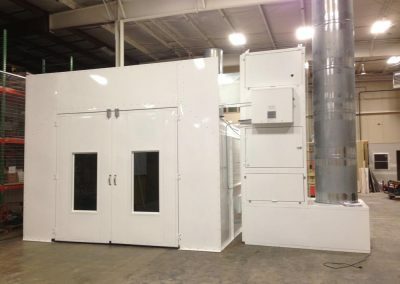 Doors are 9’ wide x 8’ high and provide both product entrance/exit and access door. We also offer both bi-fold and tri-fold doors that you can add windows too. Doors are a filtered design with 20” x 20” air inlet filters. 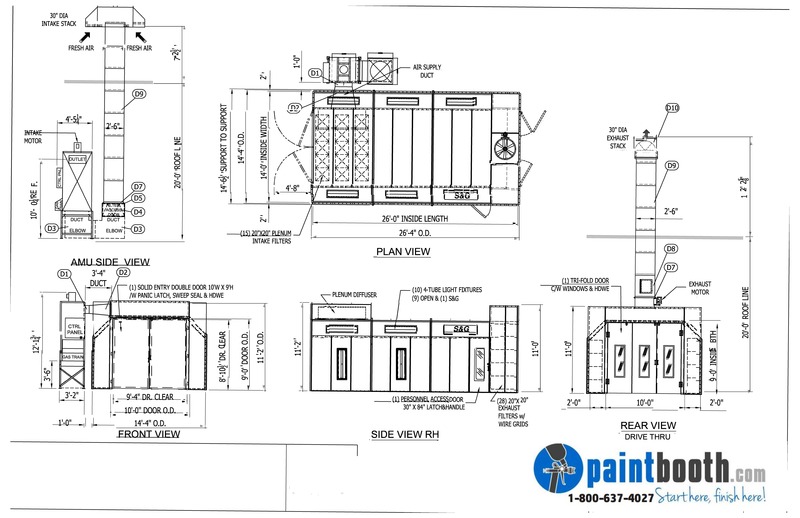 Heavy duty hinges and explosion relief latches are included along with a welded angle iron door frame painted battleship grey. 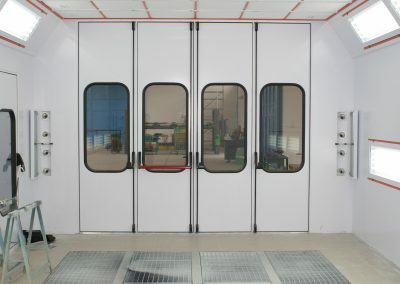 Adhesive foam seals and rubber door sweeps are provided to seal booth from contaminates. 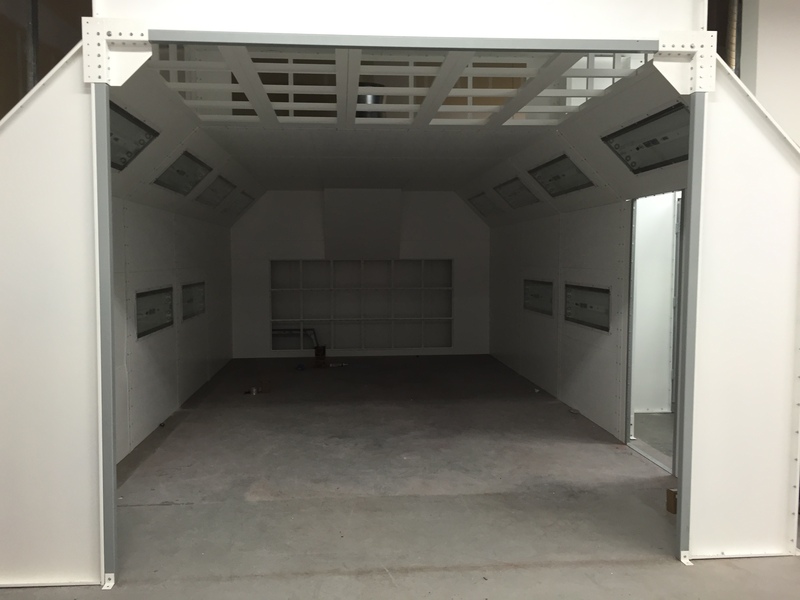 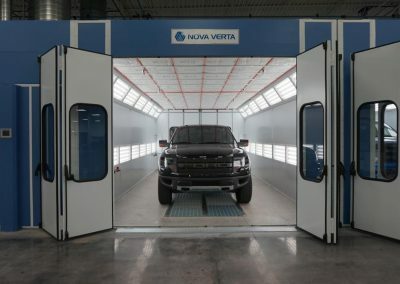 Our factory trained installation crew can get your new Automotive Paint Booth installed correctly and quickly.